Indulgence takes a new meaning at Pavilion, the multi-cuisine restaurant. 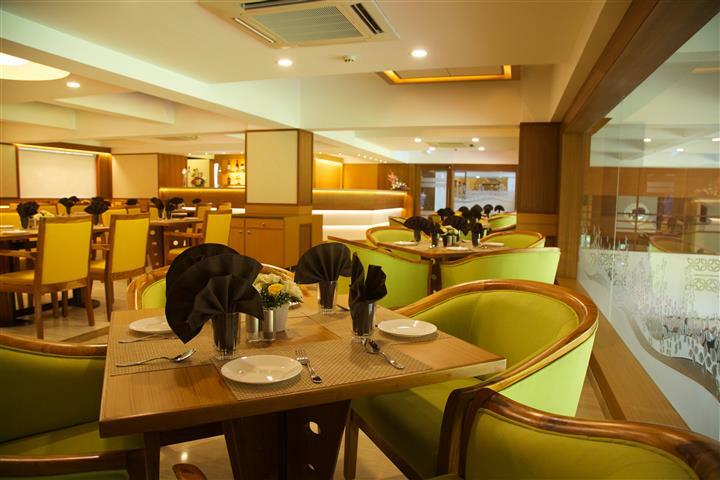 The restaurant is indeed every gourmet’s delight, where the seasoned chefs sure know how to tease your taste buds! Pamper your palate with authentic preparations from different regions of the world. Step in at Temptations, the spacious bar, which offers the finest spirits. Whether you wish to have a relaxed drink or conduct a private business meeting in solitude, Temptations offers you the right ambience for both.